Section 20 is a clause in the Landlord and Tenant Act 1985 that protects leaseholders from paying unnecessarily large sums for work carried out to their building and helps to control expenditure for major works. The legislation states that a leaseholder’s contribution to the cost of works will be capped if the landlord, freeholder, Head Lessee, Right to Manage Company or Resident Management Company or their managing agent fails to follow a set consultation process. Section 20 includes qualifying works or entering into a long-term agreement for the provision of services. With so much at stake it is important that the consultation process is handled correctly and that the law is always taken into account. Austin Rees is able to call on the services of our team of experienced Section 20 consultation administrators based in our sister company of Chartered Building Surveyors, Overill Associates. These are ‘works on a building or any other premises’ – that is, works of repair, maintenance or improvement. The inclusion of improvement in the definition of qualifying works does NOT allow a landlord to recover costs for improvements unless a liability for costs of improvements is included in the lease. When calculating the estimated cost, VAT on works must be included. Landlords must consult if these works will cost over £250 for any one leaseholder. Thus, in a property with unequal service charge contributions, the landlord must consult all leaseholders if any one of them would have to pay more than £250. If consultation is not undertaken, the landlord may not be able to recover costs over £250 per leaseholder. A qualifying long-term agreement is an agreement entered into by the landlord with a wholly independent organisation or contractor for a period of more than 12 months. (Agreements before 31st October 2003 are exempt.) Although it is not spelt out in the Act, it is safest to assume that this would include ongoing contracts with no specific termination date. Landlords must consult where the amount payable by any one contributing leaseholder under the agreement in any accounting period exceeds £100. Thus, in a property with unequal service charges, the landlord must consult all leaseholders if any one of them would have to pay more than £100 in any one year. The figure is to be calculated on the basis of the leaseholder’s total contribution resulting from the agreement, including VAT. If consultation is not undertaken, the landlord may not be able to recover more than £100 per leaseholder in any accounting period towards the costs under the agreement. Where the long-term agreement includes provision for the carrying out of works to the property (for example, a schedule of rates agreement for general maintenance), and these works will result in a charge to any one leaseholder of more than £250, then a separate consultation must be carried out under the provisions of Schedule 3 of the Act. The original consultation under Schedule 1 in respect of the agreement itself does not provide any exemption from consultation for the works. This requirement for consultation for works equally applies in cases of long-term agreements entered into prior to 31st October 2003 where at the time no consultation on the agreement was required. 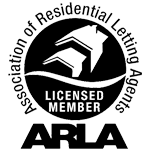 The Association of Residential Managing Agents (ARMA) have produced a useful guide to the legislation and Section 20 consultation process.